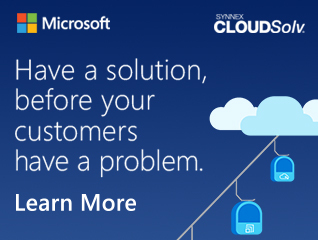 CSP allows you to sell Microsoft cloud services along with your own offerings and services with monthly billing. Partners own the complete customer lifecycle through direct billing, provisioning, management, and support. Check out this video and learn why you should partner with SYNNEX for CSP! E5 with PSTN Conferencing & Calling NOW AVAILABLE! ServicePoint365 gives our partners the ability to easily setup and deploy SharePoint Online for their customers. Interested in joining the SYNNEX CSP Program? Complete the form below and a member of the Microsoft Cloud Team will be in touch to review your CSP Program registration. Explore the resources below to get more familiar with Microsoft CSP through SYNNEX! You can now transition from Advisor Open to CSP. Learn more here. Watch the CSP Webinar on CSP Ordering. Watch the CSP Webinar on CSP Contract Management. Usherwood Office Technology has been a huge fan of the Cloud Services Provider Program (CSPP) since it began. We’re able to leverage the flexibility of the program as a strategic tool now. The ability to add or remove any mix of licenses to an agreement has been fantastic. Since our clients are already used to being invoiced monthly for our core managed services, the monthly CSPP model makes great sense for both parties. Synnex’s Business Development staff have also been great at updating agreements quickly for us when we need to make changes. We’re using CSPP as a longer-term migration path for our current clients and because of how quickly we can move forward with it, it’s great for engaging with new prospects. Usherwood Office Technology is also leveraging SkyKick’s Migration Suite (through Synnex) to migrate our client base to Office 365 (away from on-premise Exchange). We cut over a 110 user organization last night and the project went incredibly well. We are starting migration of another 115 user organization next week! Between CSPP and the painless email migrations that SkyKick migrations provide, we’re ALL-IN on Microsoft O365. In the United States, contact MicrosoftCSP@synnex.com.